Can a keto diet be healthy? This dieitian's answer may surprise you. Can a keto diet be healthy? It’s a question debated among dietitians, asked frequently in the media and pondered among friends interested in losing weight. While you can easily find vocal proponents of a ketogenic diet and those who swear it off as if it’s a nutritional nuisance, today’s episode uncovers some of the more positive parts of a ketogenic diet approach to eating and acknowledges the reality that a keto diet isn’t for everyone. Christa rounds out the segment discussing how/why/when she chooses to incorporate a keto diet with her clients and why she believes it’s not always the best place to start. After my interview with Christa, I give listeners both my thoughts on framing the internal dialog around the desire to lose weight and provide one additional perspective on ketogenic diets by my friend and colleague, Dr. Chris Mohr. In the wrap up to the show I do something a little different. I share a recap of the Life Changing Chili recipe I shared on Halloween via the This Unmillennial Life Facebook Group. It’s a simple 4 ingredient chili recipe that friends, family, and fans tell me is one of their all-time faves. It’s just so simple… you can’t help but love it! Today’s episode and so many of the show topics this season I’m addressing are direct requests from listeners. If you have a topic you’d like to hear more about, let me know! Submit a show idea here, connect by leaving me a voicemail, tag or message me on social media (Instagram, Twitter or Facebook) or email me at regan@thisunmillenniallife.com. If you haven’t checked out the new Fan Shop, please do! It’s the only place where listeners can order merchandise to show off their “unmillennialness” to friends and family. Thank you for listening and for subscribing. If you enjoy the show, please leave a review! And if you’ve been listening to the show for a while or are a new listener and have thoughts about what you like/don’t like, I’d love for you to share them with me through this very brief LISTENER SURVEY. Thanks for your feedback! This week’s episode is brought to you by Audible, who is offering a free trial and free audiobook download to This Unmillennial Life listeners who visit audibletrial.com/unmillennial. 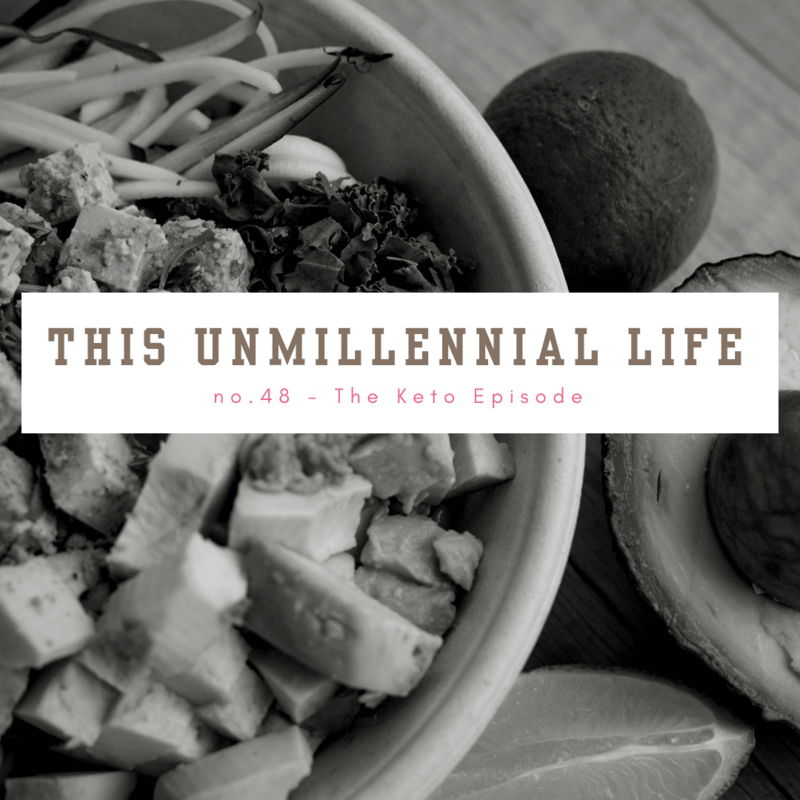 This Unmillennial Life is available each week via iTunes, NPROne, Libsyn, and Spotify. Each full-length show is also now available via ReganJonesRD on Facebook making it easier than ever to share with a friend. Musical support provided by Ben Williams at Kudzu Studio. Website support provided by Katy Widrick at MakeMediaOver.com.